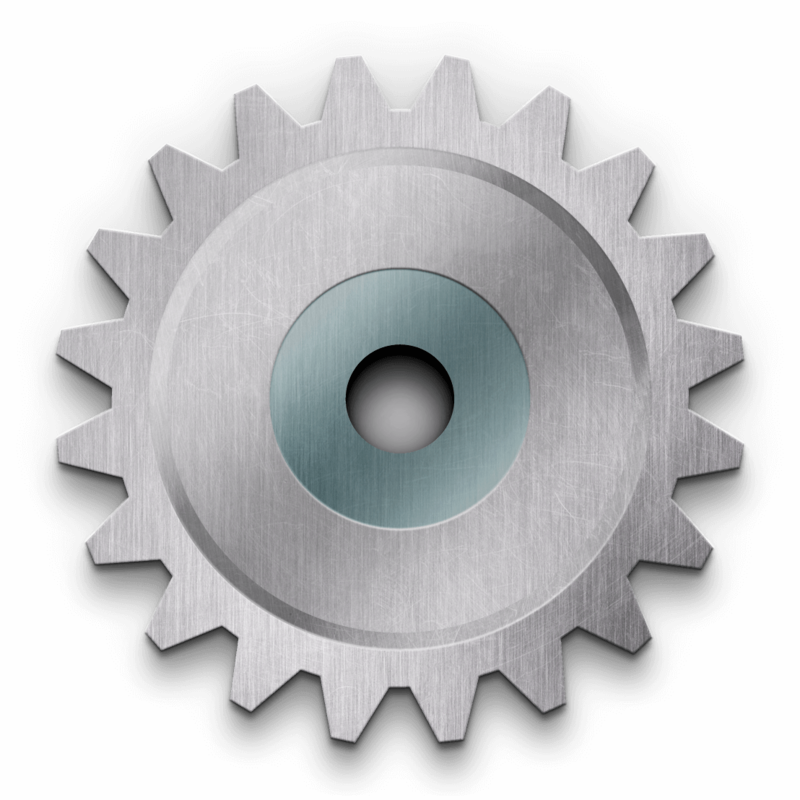 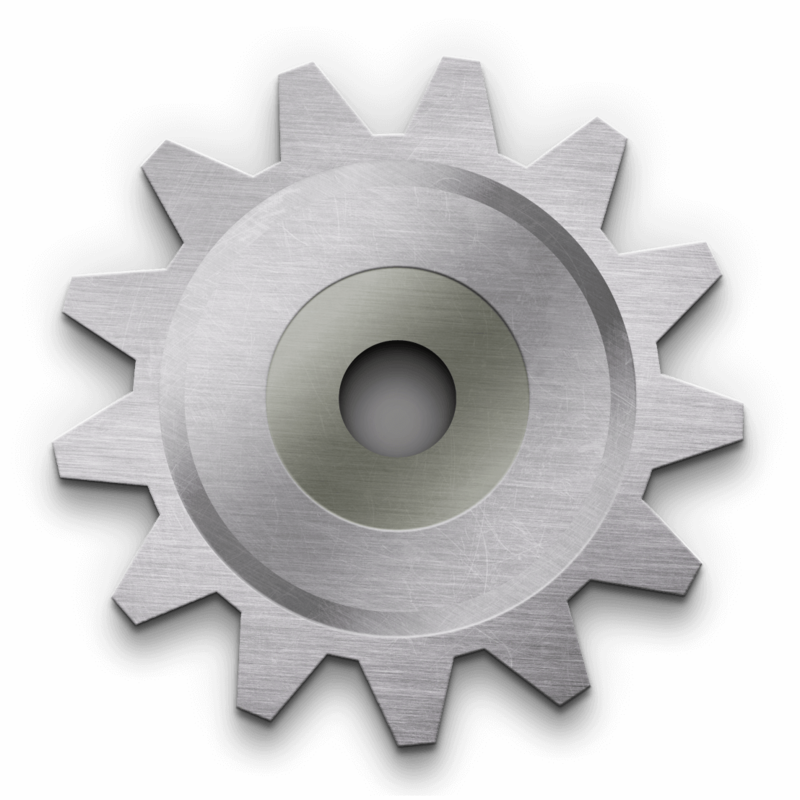 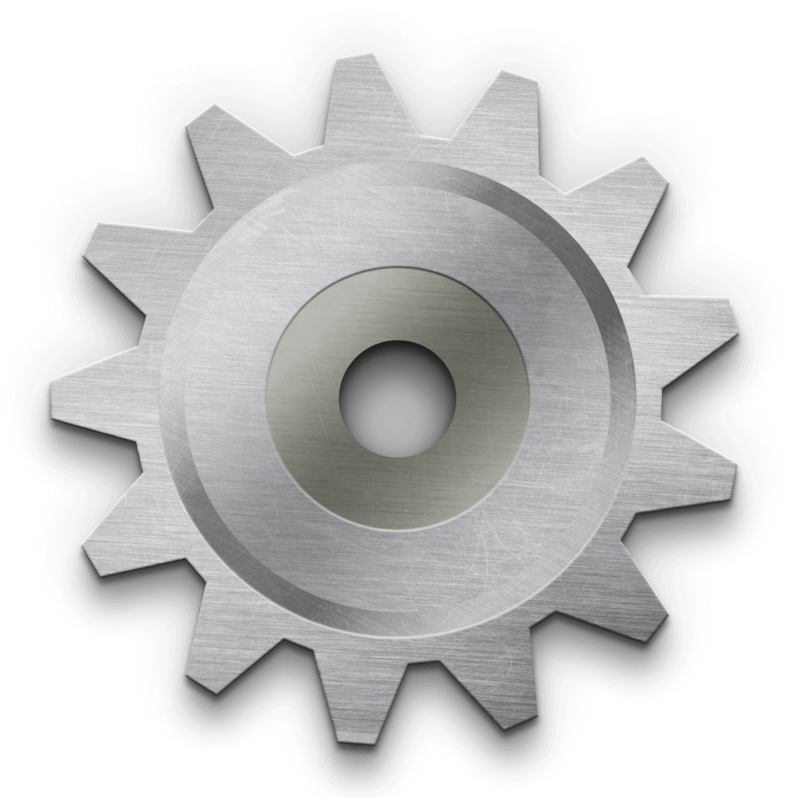 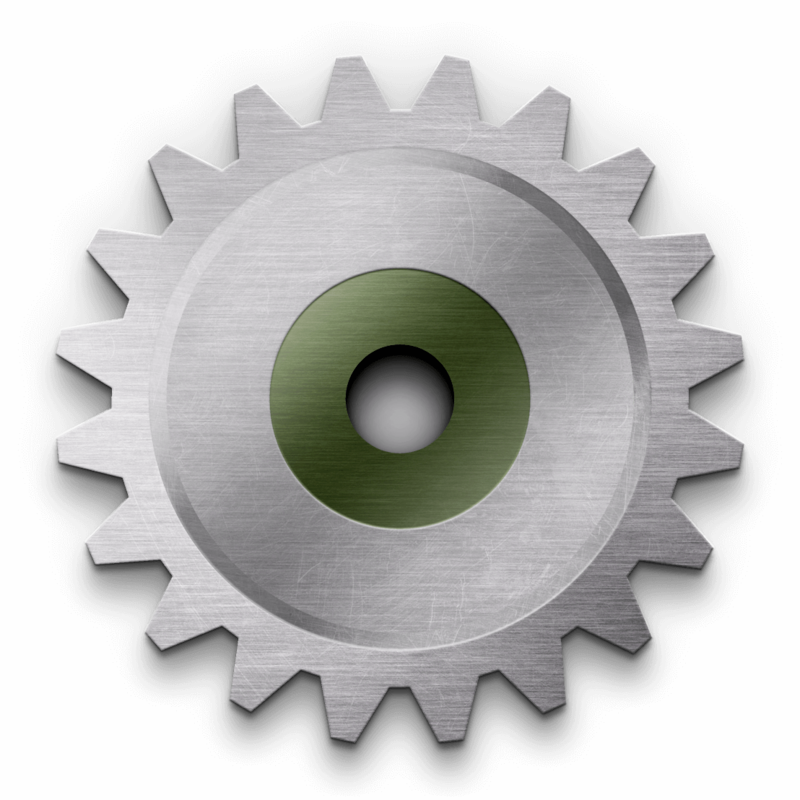 When it comes to eDiscovery, having the right tools is important. 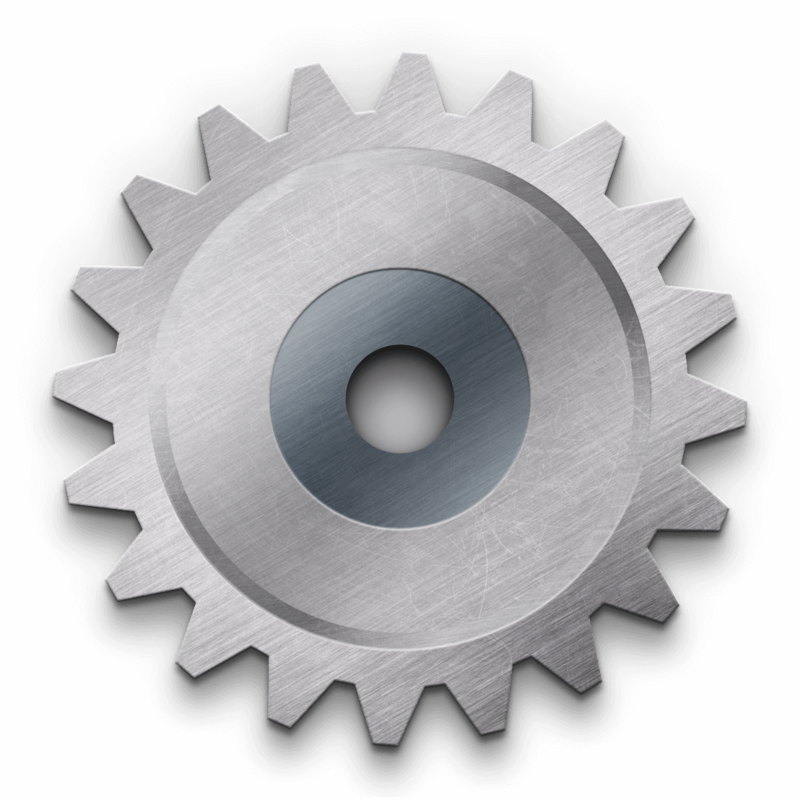 Even more important is the ability to think strategically. 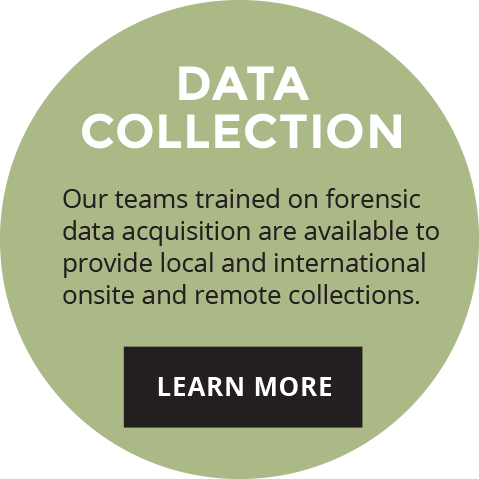 Our teams trained on forensic data acquisition are available to provide local and international onsite and remote collections. 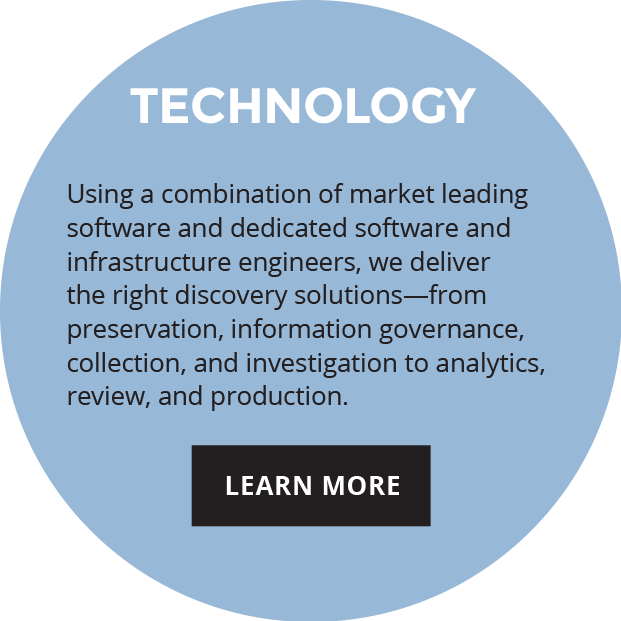 Using a combination of market leading software and dedicated software and infrastructure engineers, we deliver the right discovery solutions—from preservation, information governance, collection, and investigation to analytics, review, and production. 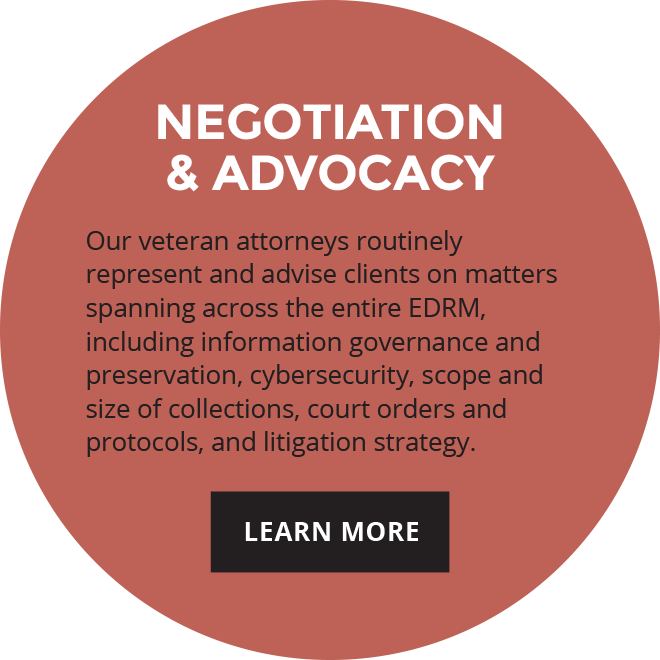 Our veteran attorneys routinely represent and advise clients on matters spanning across the entire EDRM, including information governance and preservation, cybersecurity, scope and size of collections, court orders and protocols, and litigation strategy. 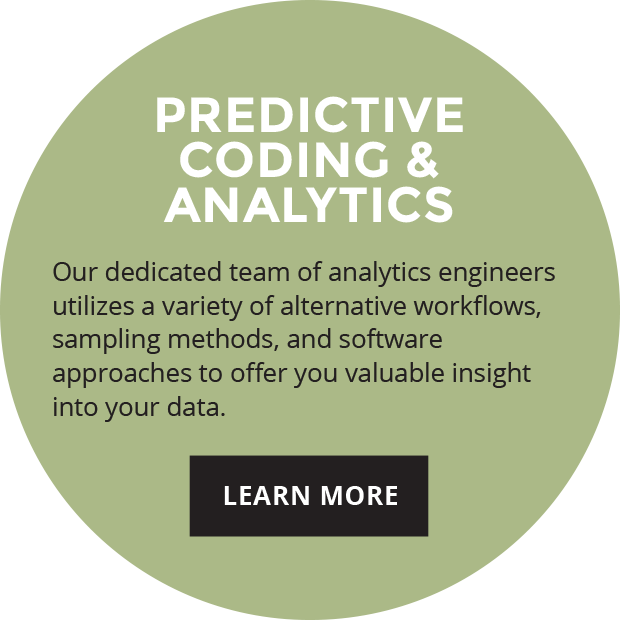 Our dedicated team of analytics engineers utilizes a variety of alternative workflows, sampling methods, and software approaches to offer you valuable insight into your data. 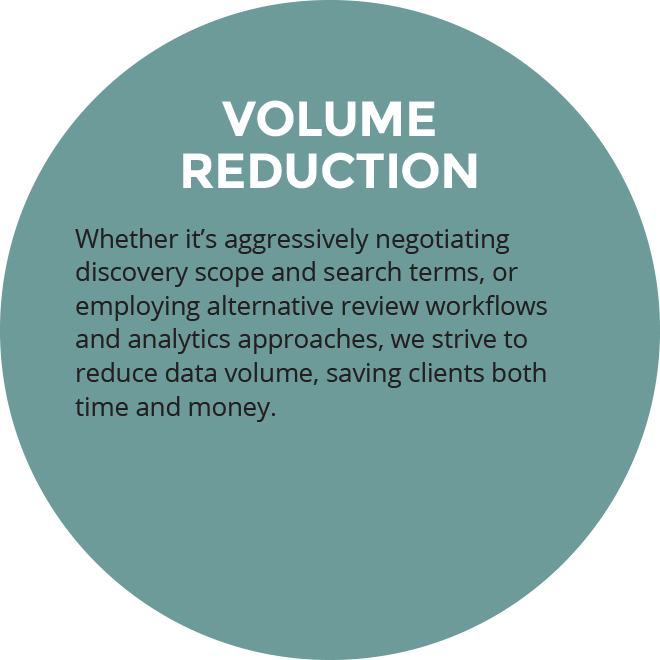 Whether it’s aggressively negotiating discovery scope and search terms, or employing alternative review workflows and analytics approaches, we strive to reduce data volume, saving clients both time and money. 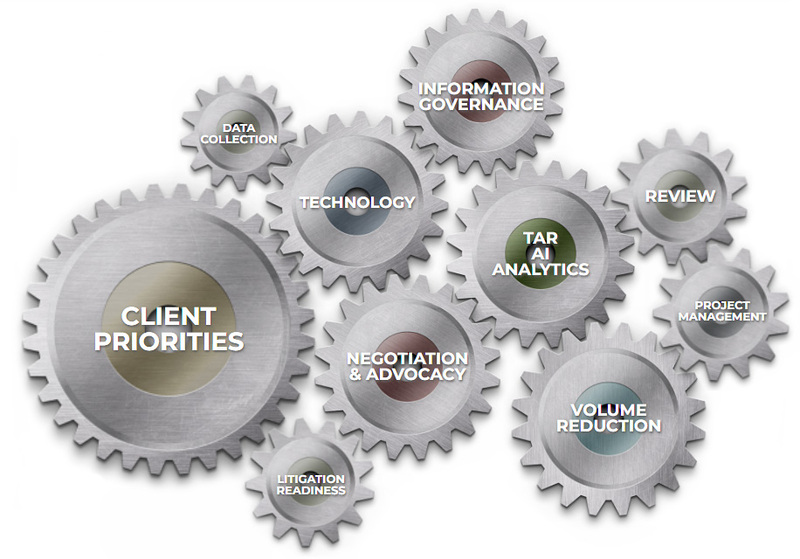 Highly scalable and fully managed contract review teams are available from coast to coast. 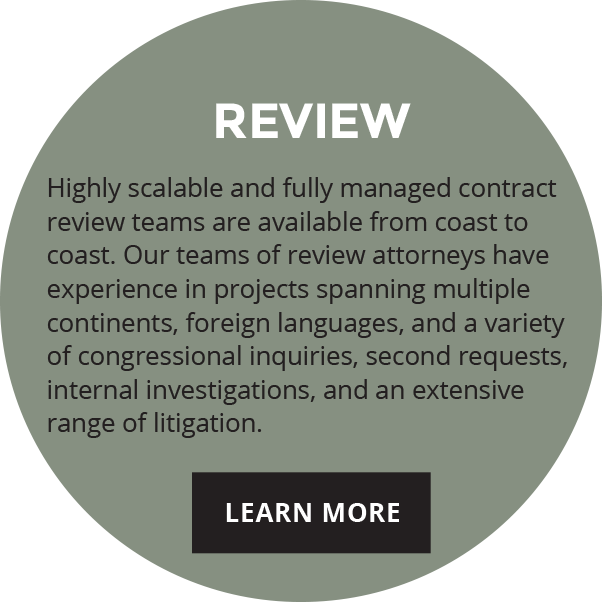 Our teams of review attorneys have experience in projects spanning multiple continents, foreign languages, and a variety of congressional inquiries, second requests, internal investigations, and an extensive range of litigation. 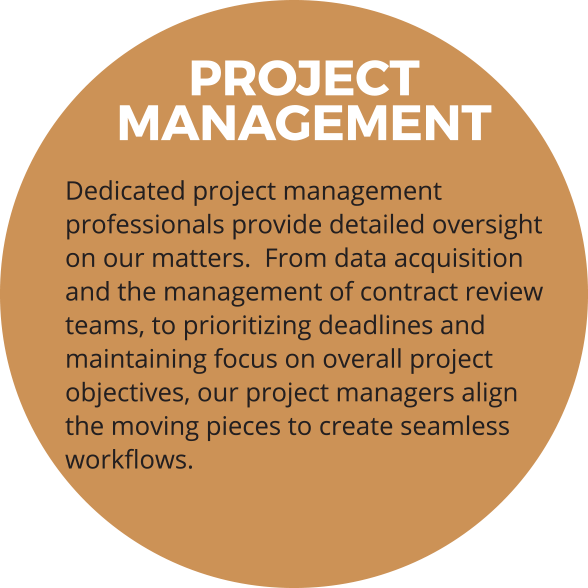 Dedicated project management professionals provide detailed oversight on our matters. 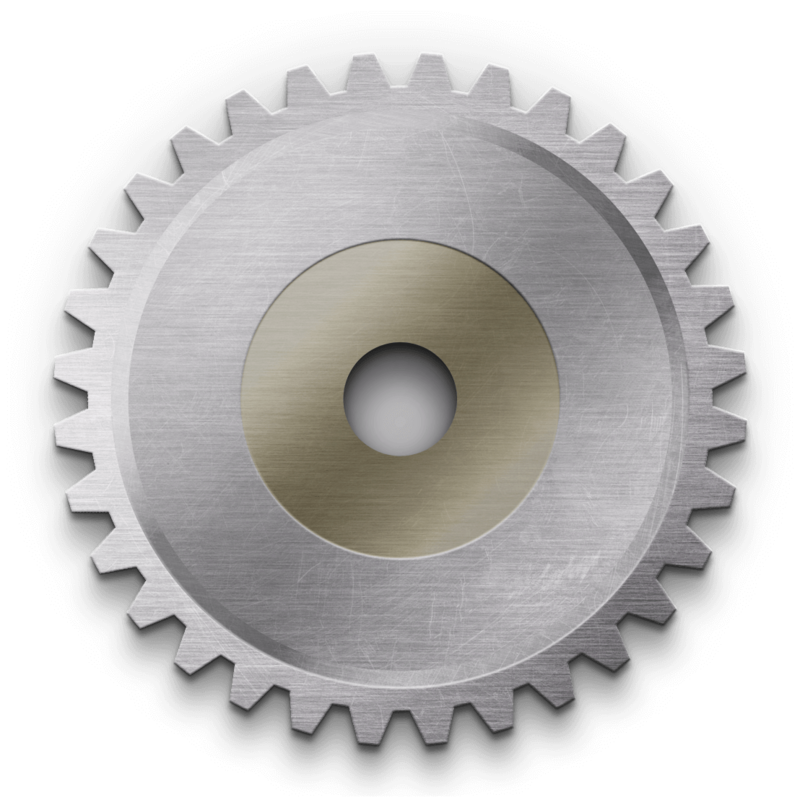 From data acquisition and the management of contract review teams, to prioritizing deadlines and maintaining focus on overall project objectives, our project managers align the moving pieces to create seamless workflows.